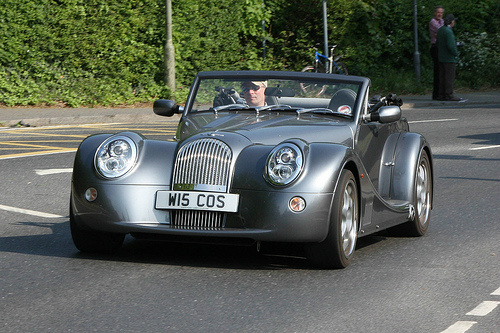 Introduced in 2001, the Morgan Aero 8 sports car, a two seater convertible, was unique in that, following five years of development work and testing, it was the first completely new Morgan design since 1948. 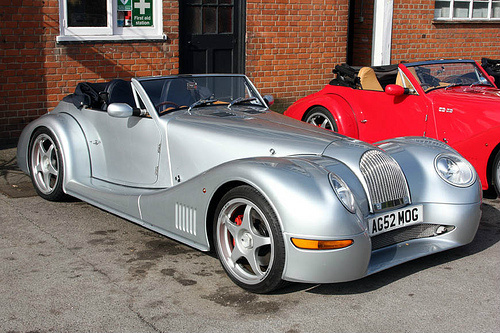 Furthermore, unlike previous models in which the wooden body was attached to a steel frame, the Aero 8 used aluminium body panels and was the first Morgan to employ an aluminium chassis which produced a curb weight of 971 kg. It had servo assisted front disc brakes and rear drums, and used independent coil spring suspension all round. It employed an aerodynamic shape with a low centre of gravity and very good handling characteristics. 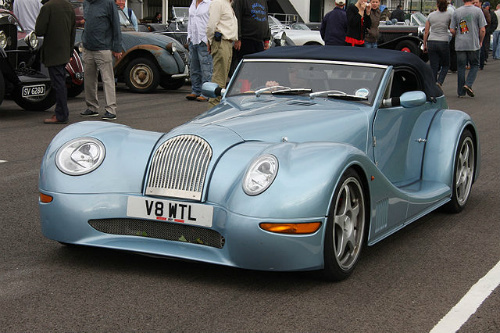 Following negative reactions from the market concerning the choice and positioning of the headlights, the styling of the front section was revised in 2007, with the new look, based on the Morgan Aeromax sports car, being maintained until production ended in 2010. 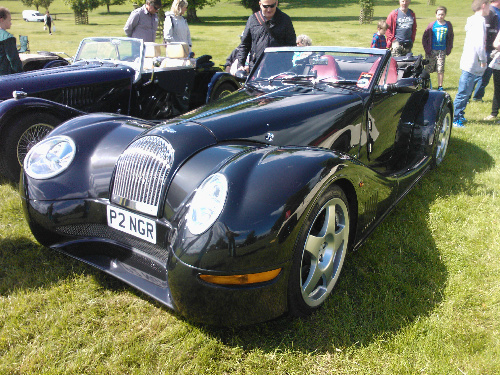 The Morgan Aero 8 was powered by a BMW 4.4 litre, DOHC, 32 valve, V8 engine that developed 282 bhp at 5500 rpm, and 325 ft/lbs of torque at 3600 rpm. Fitted with a Getrag six speed manual gearbox, Bosch fuel injection, and a 10:1 compression, it produced a top speed of 160 mph, with 0-60 mph in 4.8 secs, 0-100 in 11.7 secs, and a standing 1/4 mile in 13.5 secs.